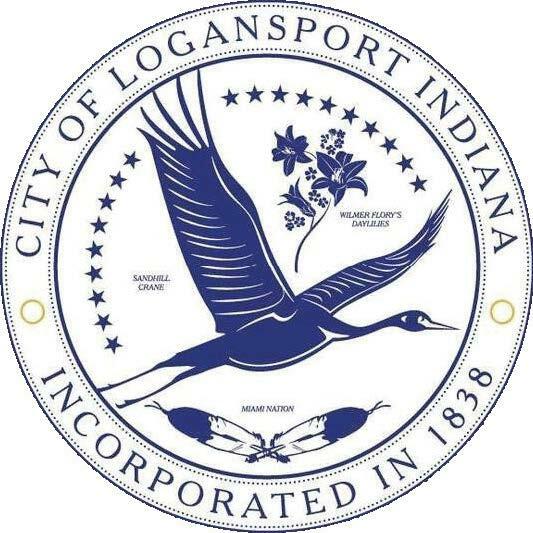 The city of Logansport, Ind., has brought its seal home. the generic symbol of an eagle flying over two U.S. flags to a seal more depictive of local phenomena, including a sandhill crane, daylilies and two feathers representing the Miami nation of Native Americans. The sandhill crane is native to the Logansport area along the Wabash River, which meanders through the city of 18,000 and forks into the Eel River coursing along the northern boundary of the downtown area. Wilmer Flory, a naturalist who taught at Logansport High School, established many varieties of daylilies during his presidency at the American Hemerocallis Society. He was also a city council member. Flory donated several varieties for the city’s France Park, East Broadway Boulevard and a triangle near the south shore of Eel River. Some of his daylilies are preserved in a dedicated garden at the Cass County Historical Society Museum. The feathers represent the indigenous Miami tribe, led by Chief Little Turtle. Two city streets, the township and a contiguous county are all namesakes of the Miami nation. The new seal also contains 19 stars, symbolizing Indiana’s status as the 19th state admitted to the Union, and a notation of the city’s incorporation in 1838. The seal was designed by Kevin Burkett, a former city council member who resigned to become editor of the local newspaper, the Pharos-Tribune. He was formerly employed for 17 years as a graphic designer for the Philadelphia Inquirer. “In researching the design of city seals, you find that most reflect a local flavor,” said Mayor Dave Kitchell, who cast the tie-breaking vote for the ordinance. “We’re thankful to Kevin for coming up with something that really incorporates our local heritage. “Everything on that seal defines what Logansport is and where it is,” said Kitchell. Response to the change was generally positive, according to online feedback from citizens. Logansport is home to the oldest art organization in Indiana and the local high school sports the state’s oldest mascot, Felix the Cat, adopted in 1925. Tyson Foods Inc.’s pork processing plant is the city’s largest employer with 2,000 workers. The city hosts several annual festivals, including the Med Flory Jazz and Blues Fest, Art on the Avenue and Winter Fantasy Production.